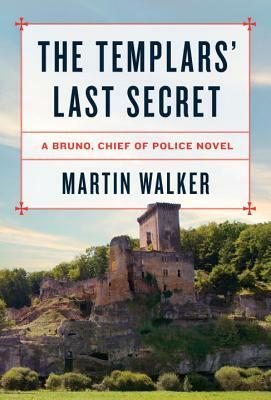 When a woman's body is found at the foot of a cliff near St. Denis, Bruno suspects a connection to the great ruin that stands on the cliff above: the Château de Commarque, a long-ago Knights Templar stronghold which, along with the labyrinth of prehistoric caves beneath it, continues to draw the interest of scholars. With the help of Amélie, a young newcomer to the Dordogne, Bruno learns that the dead woman was an archaeologist searching for a religious artifact of incredible importance, the discovery of which could have dramatic repercussions throughout the Middle East--not to mention in St. Denis. And the woman's ties to Islamic terrorists can only heighten the pressure on Bruno to unravel the centuries-old mystery. Meanwhile, an old flame of Bruno's is assigned to work with him on the case, and the two find time, naturellement, to enjoy the supreme pleasures of the wine, food, and beauty of the Dordogne. MARTIN WALKER is a senior fellow of the Global Business Policy Council, a private think tank based in Washington, D.C. He is also editor in chief emeritus and international affairs columnist at United Press International. His previous novels in the Bruno series are Black Diamond; Bruno, Chief of Police; The Children Return; The Crowded Grave; The Dark Vineyard; The Devil's Cave; Fatal Pursuit; The Patriarch; and The Resistance Man, all international best sellers. He lives in Washington, D.C., and the Dordogne.